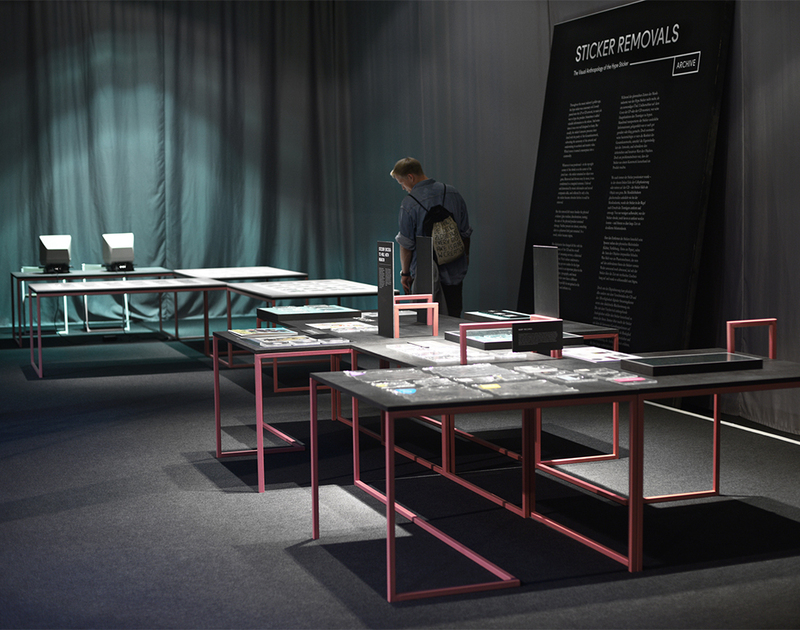 Design and construction of an exhibition. 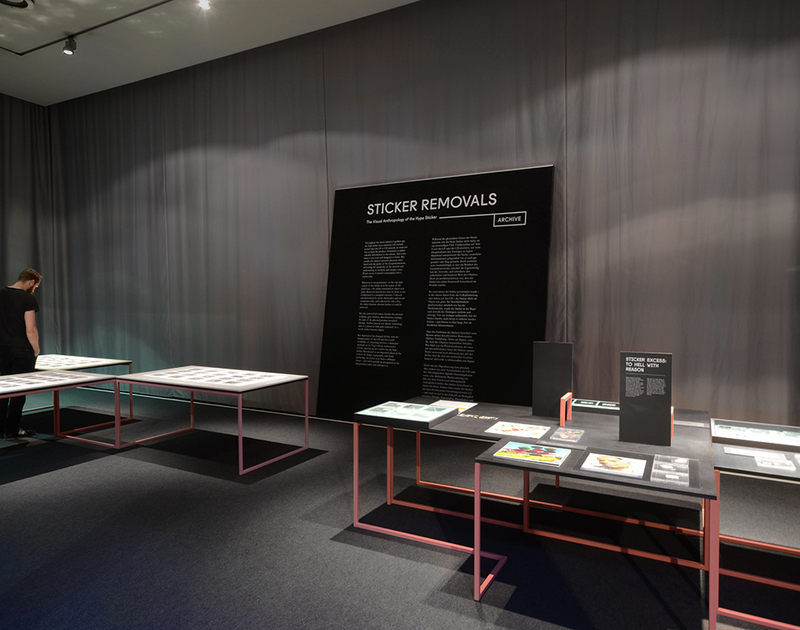 The accompanying program of the music festival PopKultur in Berlin dedicated an exhibition to „The Visual Anthropology of the Hype Sticker“. 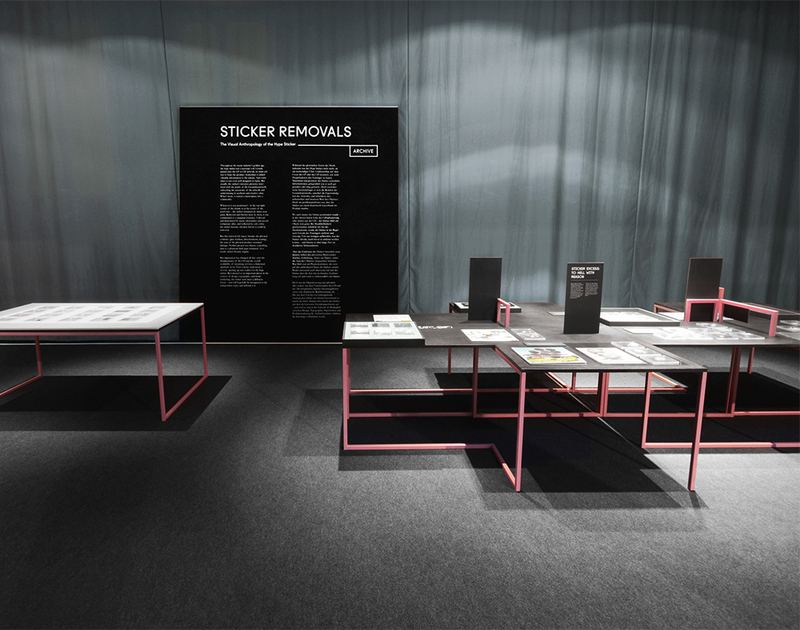 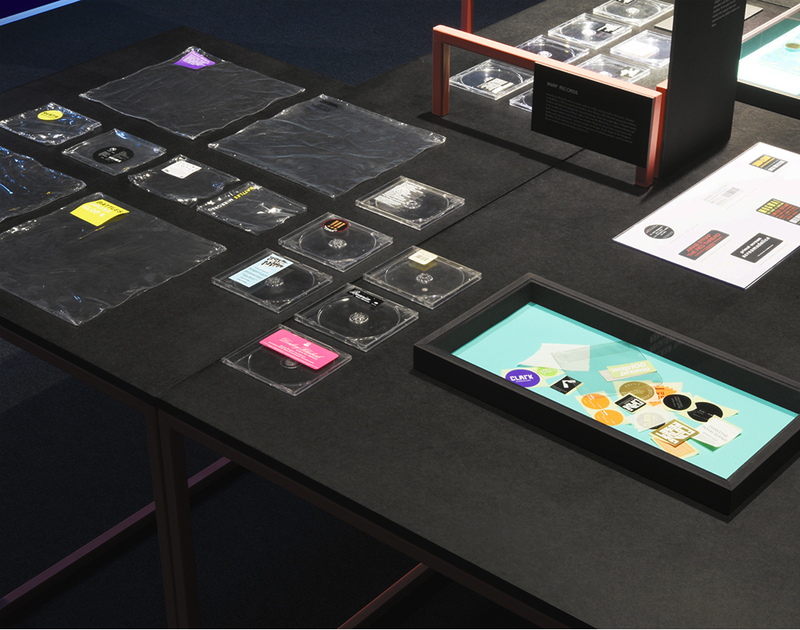 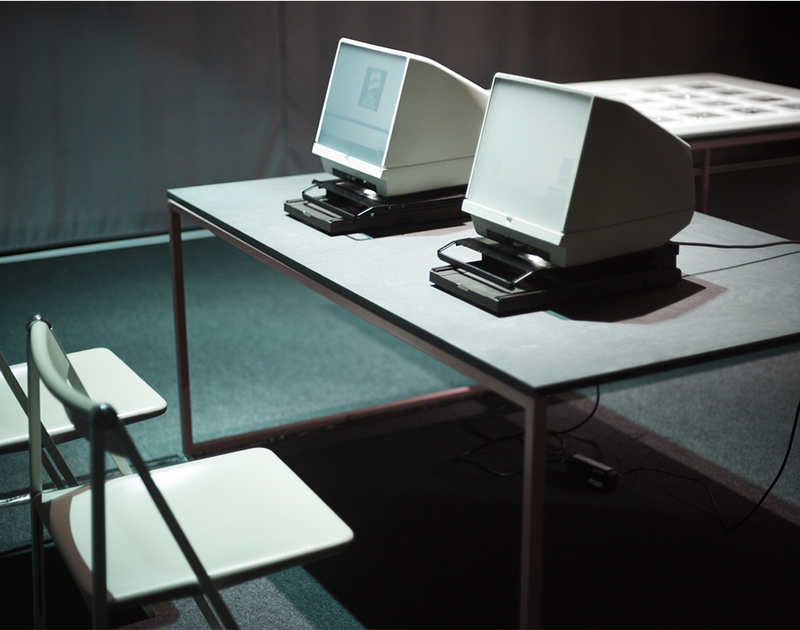 The horizontal display of the exhibits was designed in resemblance to desks in order to evoke the picture of manual work involved in the removal of the stickers from the vinyl covers and cd packs. 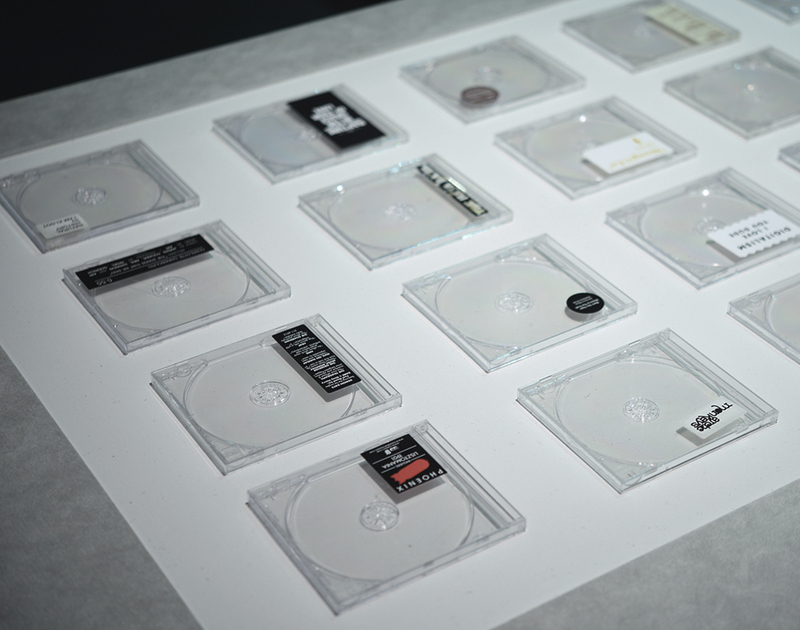 Laid out generously and freed from the context of the cover artwork, the plastic sleeves and stickers glow with the nimbus of precious artefacts.